Bangladesh is a coastal country challenged on many fronts by poverty, overpopulation, an abundance of natural disasters, and most recently the building collapse in the capital, Dhaka, which took the lives of more than 1,200 people and injured 2,500 people. Nearly half the children under five are underweight and access to health care and education is severely limited. Zakat Foundation of America’s (ZF) Bangladesh office has served the people of Bangladesh for six years through healthcare, orphan support, and relief programs. This Ramadan, ZF will give families a gift that will serve them for years to come: rickshaws. 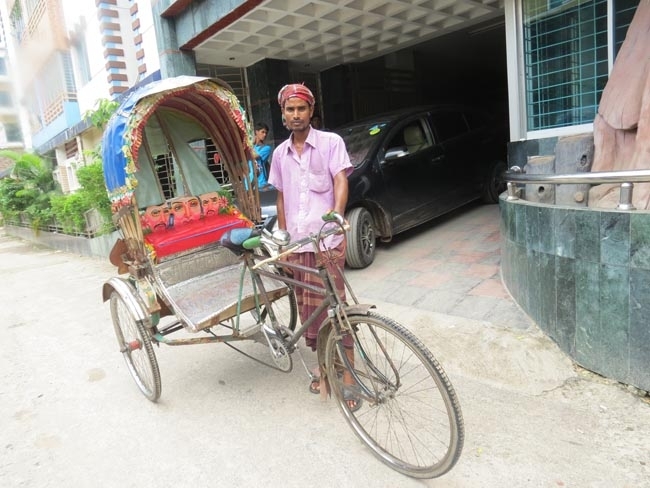 Rickshaws will allow families to become self-sufficient as they offer a greater income than the average Bangladeshi family is able to earn in agriculture or factory work. This one-time gift will yield myriad rewards as the families become able to buy more and better food, send their children to school, and receive appropriate medical care. The cost of one economically empowering rickshaw is just $150.